As you can see, Samuel Langhorne Clemens, a.k.a. Mark Twain, is much more, well, together, than the aforementioned unfortunate Mr. Carroll. 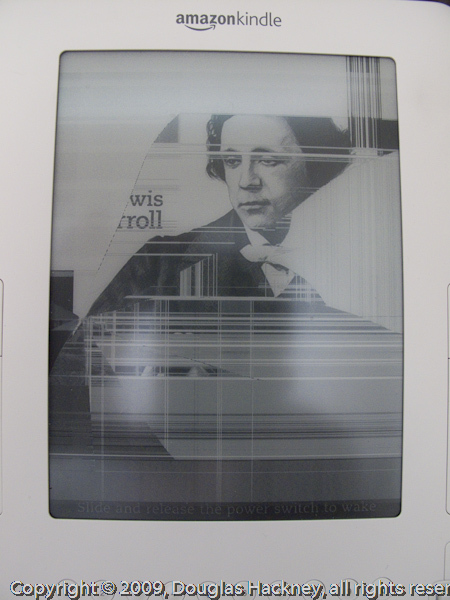 All my efforts, as well as those of Kindle tech support, to revive Mr. Carroll proved fruitless. 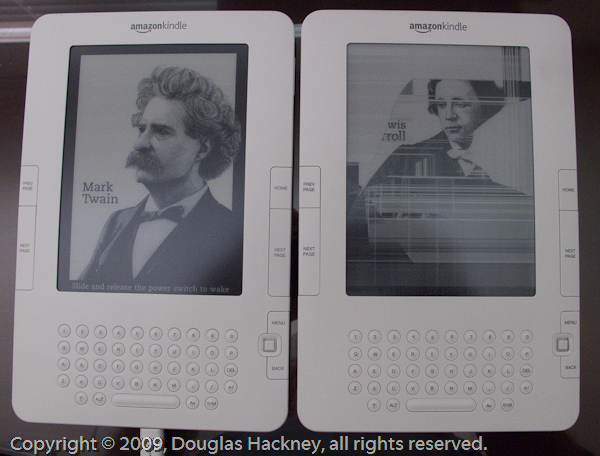 Thus, Amazon kindly replaced the dead Kindle 2 with a replacement Kindle 2 (the one on the left). The process was quick and painless. All my books were automatically available on the new Kindle 2, and the entire process was, with the exception of being Kindle-less for a day, without trauma. I have books that have been recommended to me, that I actually need to read, that are not available in Kindle format, so I’m not buying them. Or reading them. Again, that change, after reading hundreds of analog books in my lifetime, took about two weeks. Sometimes, change can be compelling. PS – The original Kindle 2 had been dropped from bed to a carpeted floor a couple of times due to dozing off while reading. Otherwise, it experienced no shocks, immersions, etc. I hadn’t even hacked into it yet, which will come as quite a shock to some of you.